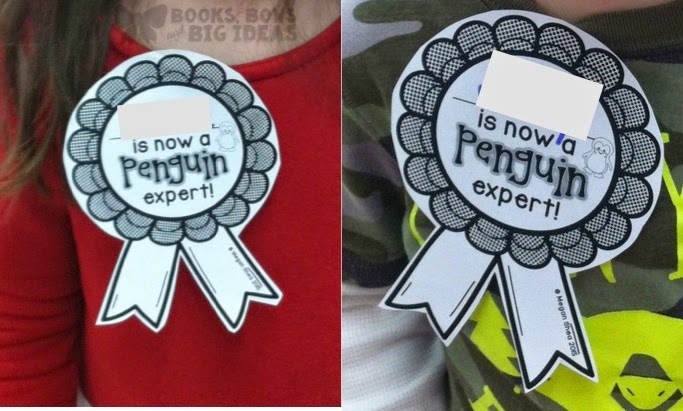 We were way behind on the penguin thing this year. It was a crazy winter in NY and we never got to it in January like we always do. 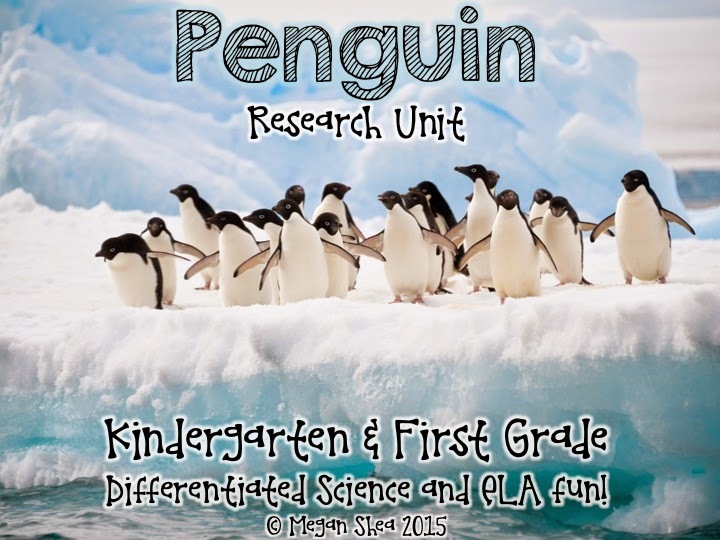 We finally got to our penguin research unit last week. The kids had so much fun! 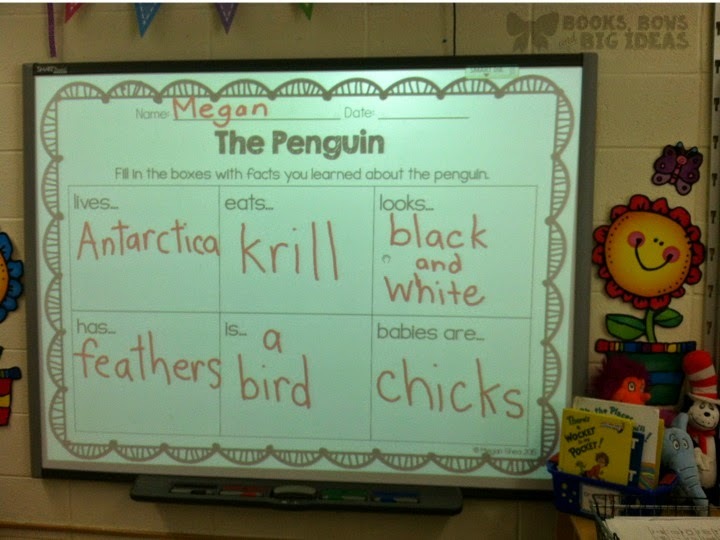 They loved learning about penguins and they amazed me with all of the facts they remembered. 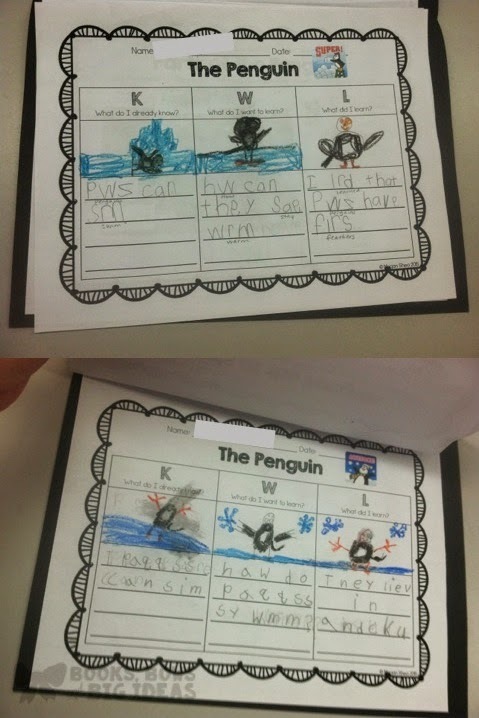 Each kid created a penguin research folder and all of their penguin stuff went inside. We are actually keeping these folders for parent conferences. 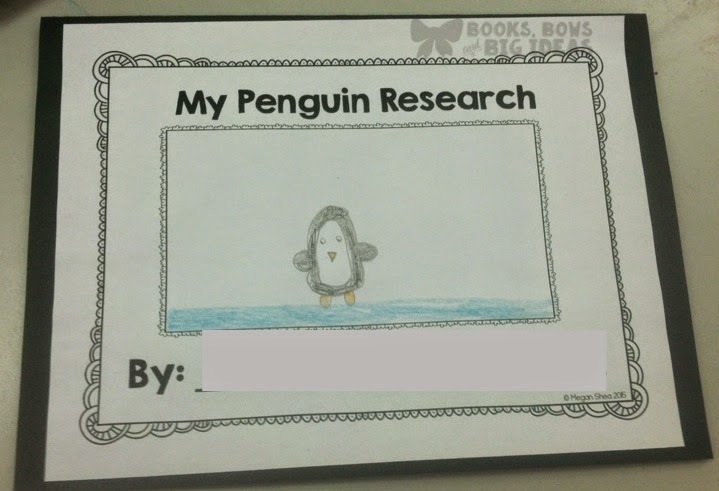 They are a great compilation of student work. It is just a large piece of construction paper folded in half with the cover glued on. Some of the activities we did involved creating a class chart to brainstorm first or, it was an activity that we did together. 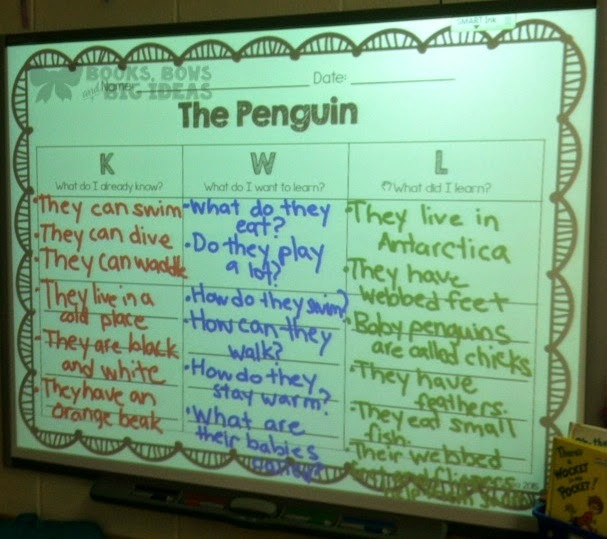 Normally, I would create a chart on a piece of chart paper, but since I already had the charts in the PDF, I just put them full screen on the SmartBoard and it was perfect! 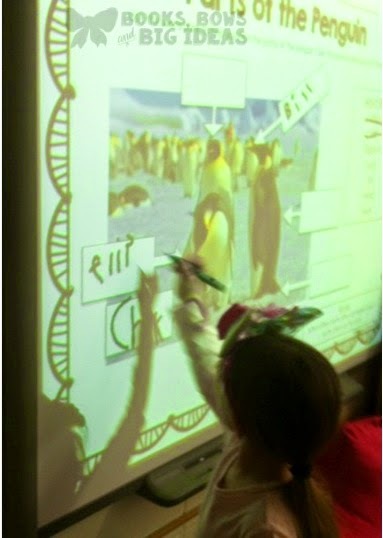 I always forget that you can put any PDF full screen on the SmartBoard to do a sample or do it together. We even had some kids come up to fill in the answers on this one. 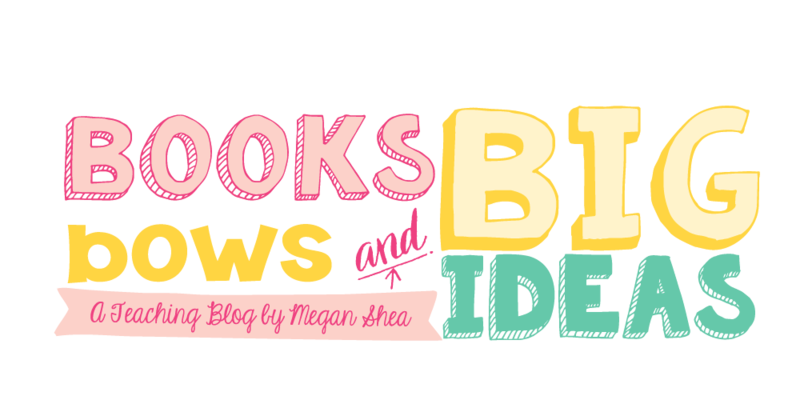 Here are some samples of the things we did. 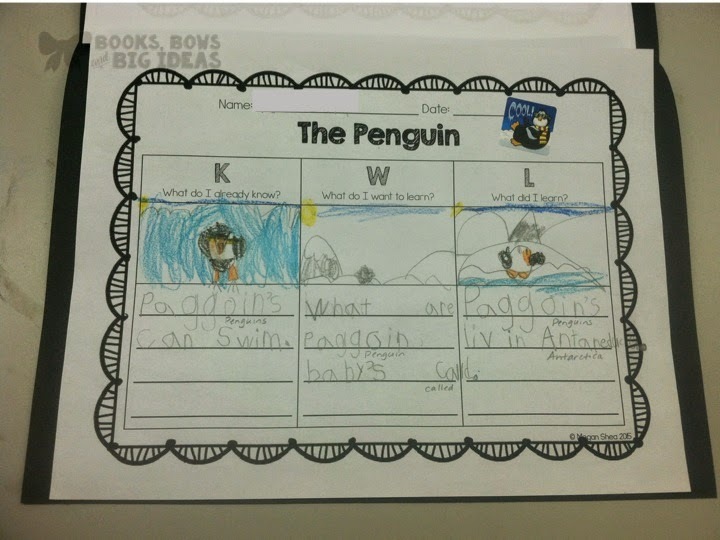 One of the last things we did involved writing what they learned about penguins. They did an awesome job! Look at the facts they came up with! "They live in Antarctica. They have webbed feet. 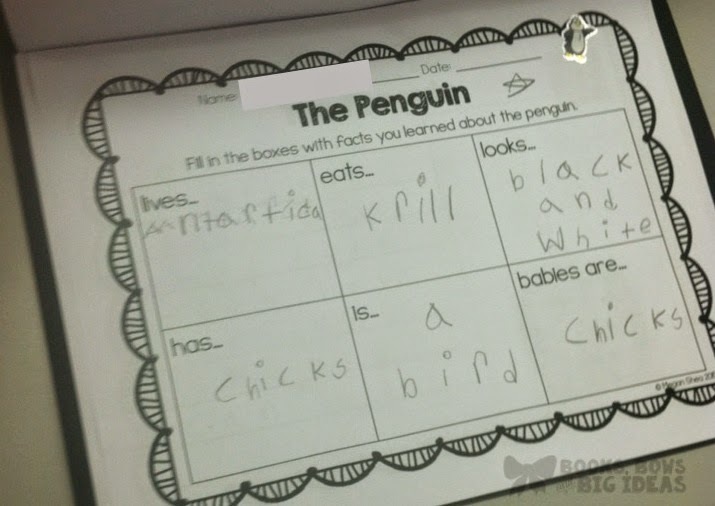 They have chicks. 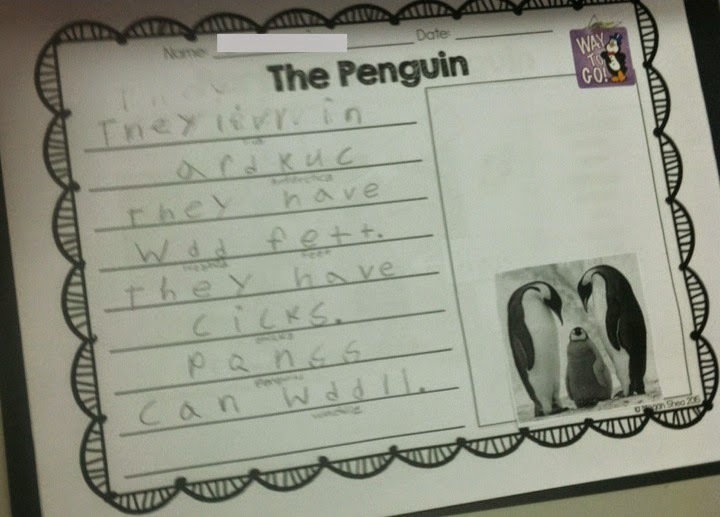 Penguins can waddle." 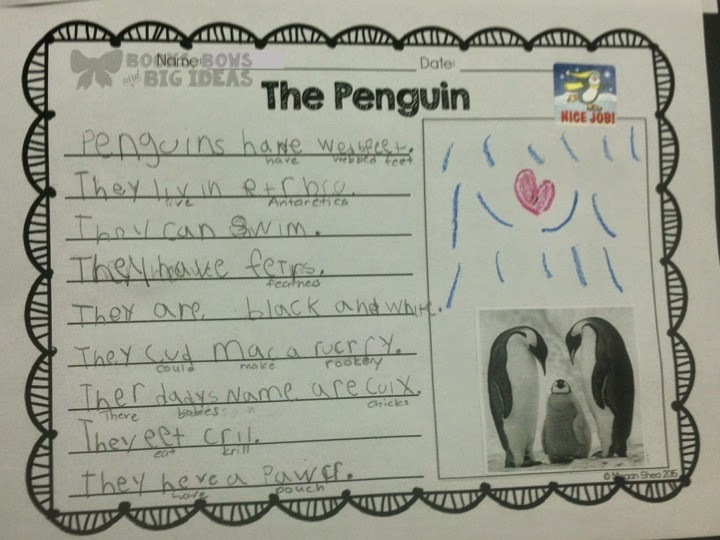 "Penguins have webbed feet. 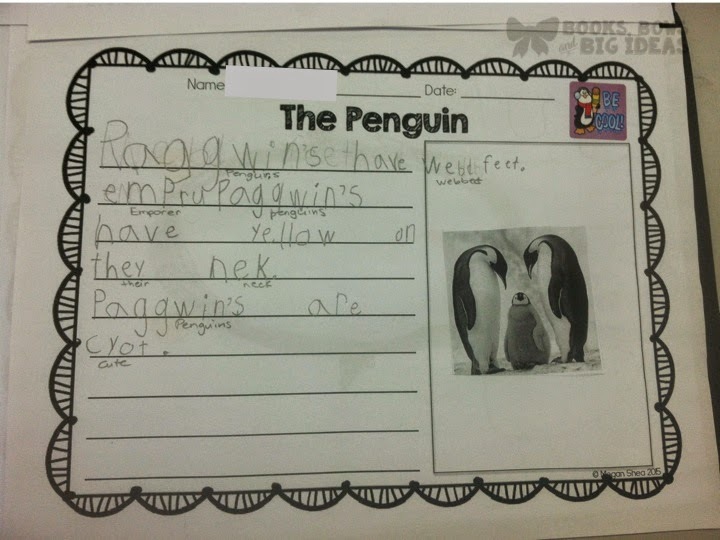 Emperor penguins have yellow on their neck. 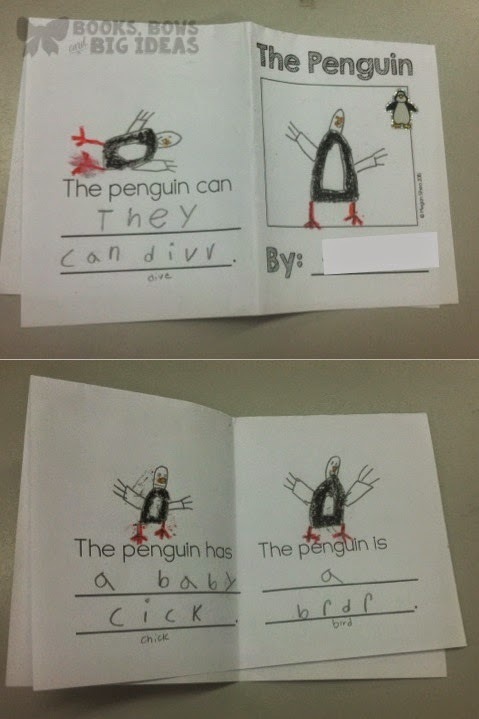 Penguins are cute." 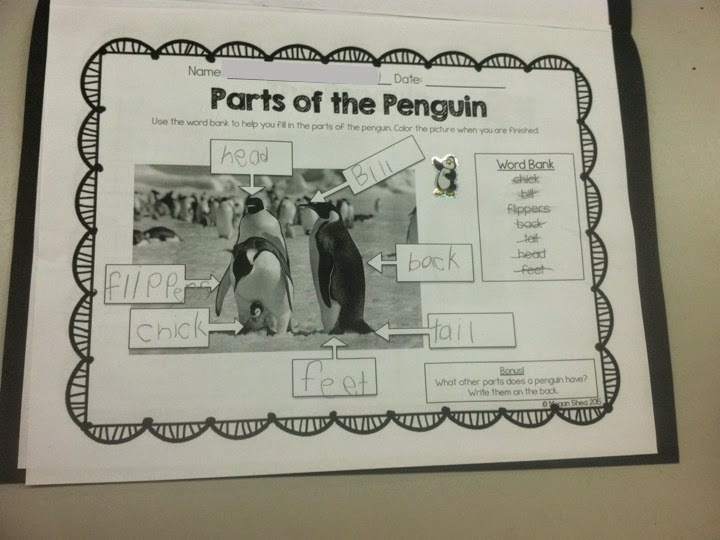 "Penguins have webbed feet. They live in Antarctica. They can swim. They have feathers. They are black and white. They could make a rookery. Their babies names are chicks. 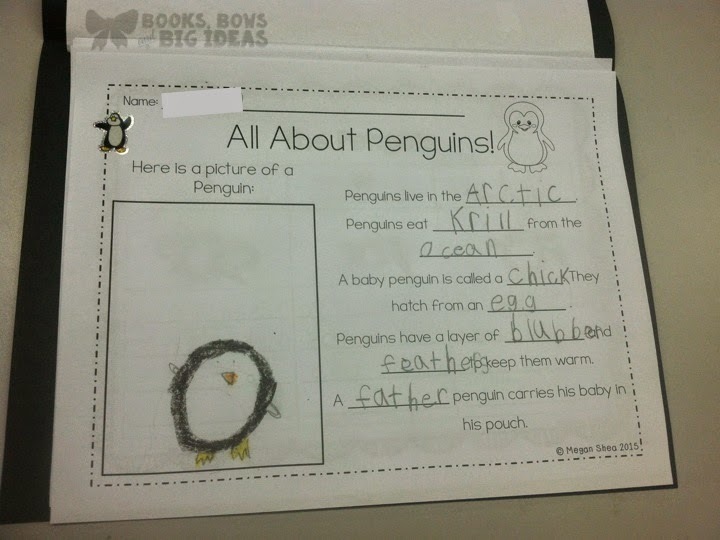 They eat krill. They have a pouch." This little cutie did this all by herself. I could not believe the amount of facts she remembered! 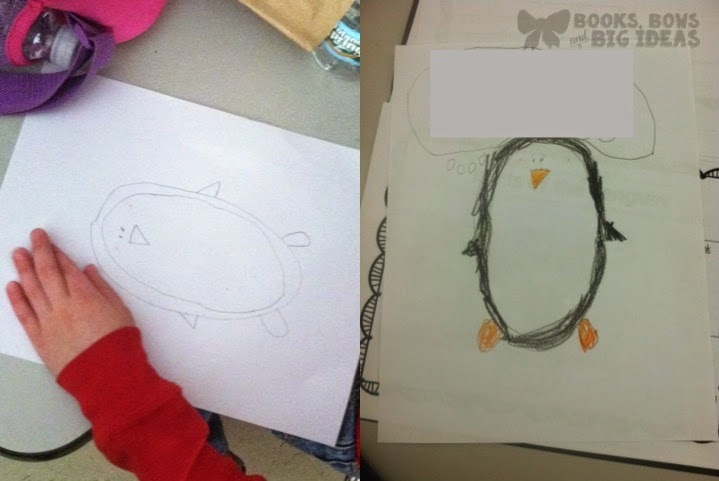 We learned how to draw penguins too! 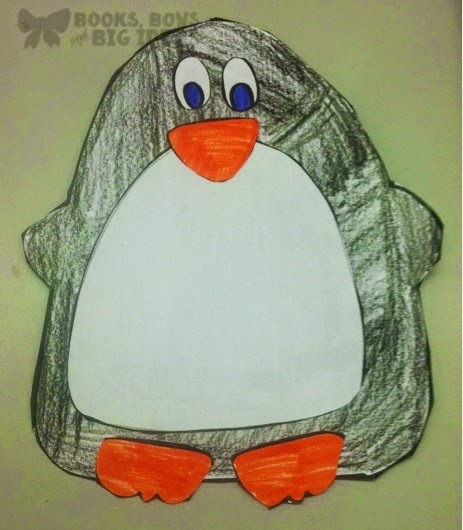 We ended with this simple penguin project, you can also use construction paper. Next time I probably would use black paper instead. Get the template for free here. After we finished the whole unit, each child got a ribbon for their shirt. They were so impressed with themselves! One kid even wore his back to school yesterday. 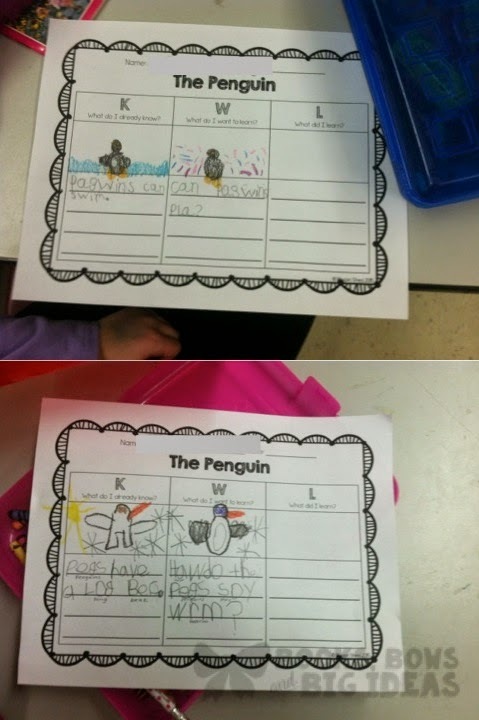 You can get all of these activities and more in my Penguin Research Unit.